Avon are soon launching their new Ultra Colour Indulgence Lipstick range which is formulated with hydrating gels rather than wax for a lavish, intense colour finish. 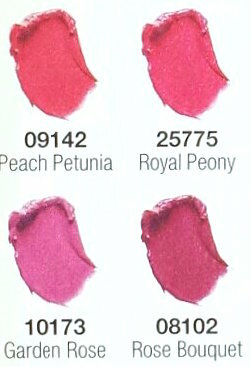 It comes in a range of 15 shades (see below), but I grabbed myself the shade Red Dahlia, which is a mid-dark red. It comes packaged in a sleek black tube with Avon written around the lid on a silver band, which then comes packaged in a simple black box. Upon the initial application, this lipstick tugs a little bit on the lips. However, once you break down that first bit after a couple of strokes, it glides on like a dream. 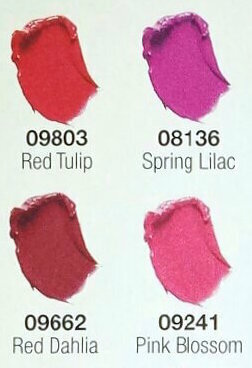 It is a very smooth lipstick that feels really soft and almost fluid. I’m not particularly a fan of lipsticks that aren’t curved to fit the lip as I find the flat ones harder to apply, but this isn’t a unique issue to this lipstick and is just a personal preference. 1. If you don’t already have one, you need to invest in a good lip liner (see below). This lipstick will bleed into the cracks around your lips. 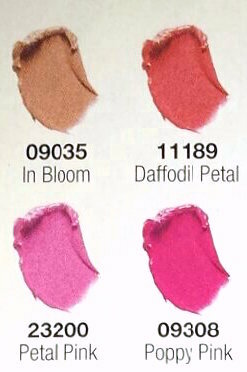 This may not be an issue with every single shade in the range, but it is in regards to Red Dahlia. I never usually have this problem, but the texture of the lipstick is so smooth that it simply melts onto the lips. Whilst it feels great, it caused horrible bleeding for me around the edges (as you can see in the photo below) and can be easily smudged (which I'm sure everybody avoids doing with any lipstick anyway). 2. It may leave a funny taste in your mouth. This is something that happened after about fifteen-twenty minutes for me. I’m not sure if it’s because I applied too much, whether it’s because I had something to drink fairly soon after (to do a lipstick-drink test) or whether it is just the case with the formula. I’d love to know if anybody else encounters this problem! With that said, the colour is absolutely beautiful. It’s intense and glossy. It is also fairly long lasting, staying well put through my eating and drinking tests and continuous talking. The wax-free formula of the Avon Ultra Colour Indulgence lipstick feels great on the lips too. It doesn’t dry out, leaving the lips smooth after removal. Another thing that I really like about the Avon Ultra Colour Indulgence Lipstick is the packaging. The twist motion to reveal the lipstick seems to mirror the smooth application. It’s something that you will probably have to try for yourself to understand, but it does feel of a much higher quality than their other lipstick ranges. Whilst this lipstick has a few minor issues, they are all easily fixable and aren’t necessarily unique to this particular product. As I said, a good lipliner should fix any bleeding into the cracks and not rubbing your mouth will obviously prevent smudges. Overall, I think this is a pretty solid effort from Avon. I love the idea of wax-free lipstick, and whilst it has a couple of minor issues, the pros outweigh the cons. The colour, Red Dahlia, is simply divine. It is a beautiful shade for winter, so I may have finally found my perfect winter red shade! 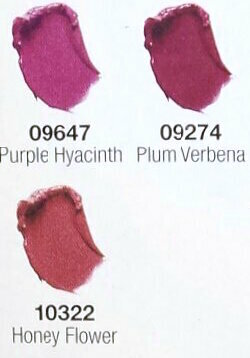 The rest of the range also includes some fantastic colours for spring, so I may order a couple more to add to my spring lipstick collection too! The range isn't yet available until Campaign 4 (ask your local Avon rep for information regarding campaigns if you aren't sure when Brochure 4 is released in your area) and also isn't yet available online. When it is available it will be launched at a special price of £5.25, but will normally be £8. Edit: Avon's Ultra Colour Indulgence Lipstick is now available to buy online for £8 each from Avon. When it is released in the brochures, there will be a free gift offer to also receive an Ultra Glazewear Lip Gloss and a Nailwear Pro+ Nail Enamel in different colour themes, along with a cosmetics bag with lip print (see above). 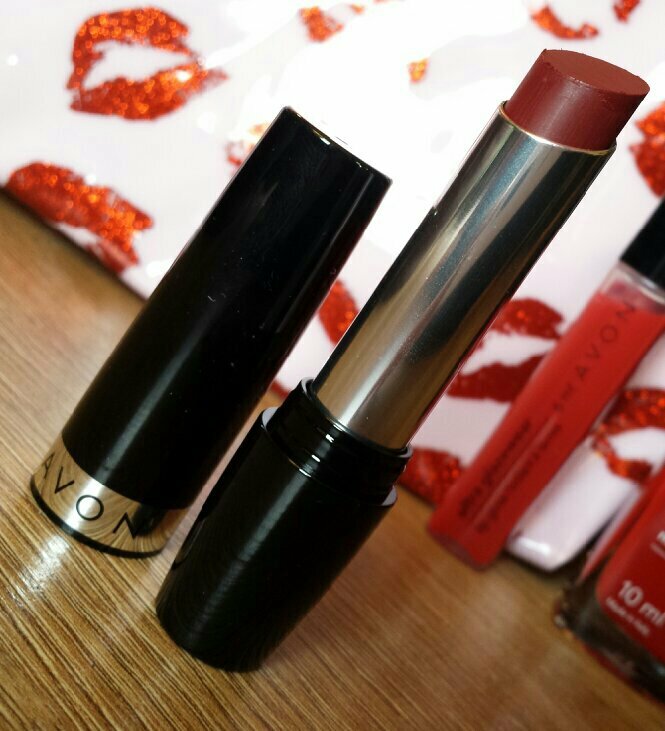 What do you think of Avon Ultra Colour Indulgence Lipstick in Red Dahlia? Are you interested in trying out a wax-free lipstick? Hi Zoe, yes I have encounter the bad after taste issue with this lipstick. As a matter of fact it was yesterday when I first tried this lipstick. I was on my way to a party when I first applied it. Half an hour later I noticed a bad chemical taste in my mouth. Besides the bad taste there was also a not to pleasant smell to it. So I had to immediately wipe it out. I wanted to ask if you continued using this lipstick? By the way great and informative post! Love your sincerity! Thanks! I have used it a few times, but not during the spring/summer as it felt a bit too much! I still always get the funny taste though and even though it has been a while since I put it on, I can still imagine the taste very well! Both glad and not glad to know that it isn't just me though.